Ever wonder what makes some people so successful? Standalone ambitions can’t drive success without action. Success is determined by what we choose to do and the frequency we do it in. Successful people practice similar habits that distinguish them from the ordinary. They take chances and are not afraid of challenges. 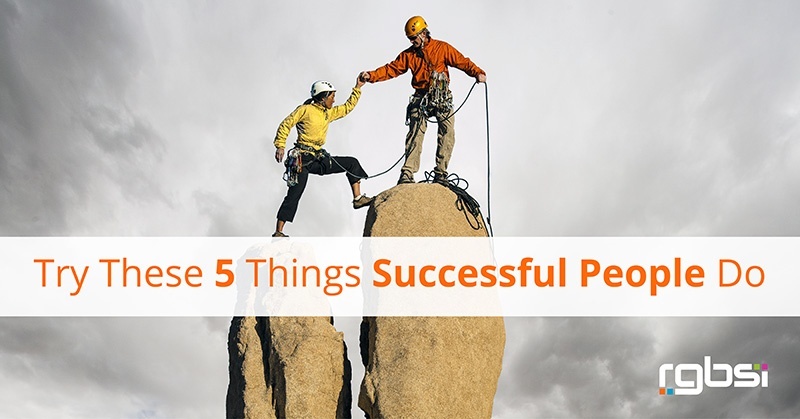 If you are looking to become more than just average in pursuit of greater outcomes, try these 5 things successful people do. 1. They adopt continuous learning. You may graduate from college, but you never graduate from learning. Successful people recognize learning as a never-ending part of life. They work vigorously towards expanding their knowledge base. Some methods of continuous learning include reading industry publications, listening to podcasts, attending trade events, and picking up certifications to refine skillsets. 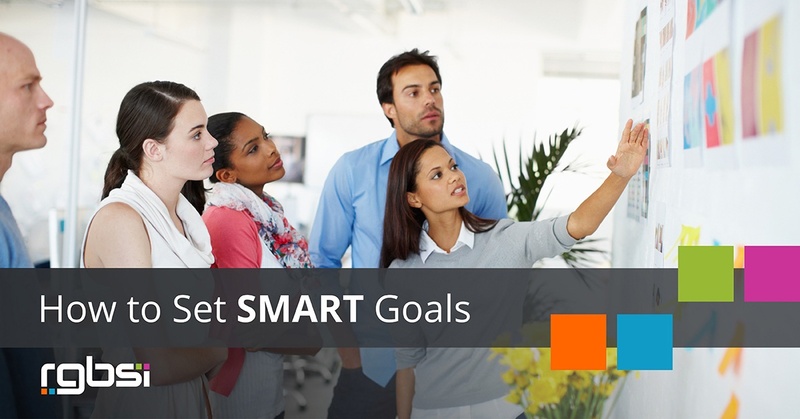 If you are trying to own your career, set goals to stay focused on your learning objectives. The more knowledge you carry, the more projected value you’ll hold. Don’t underestimate the power of knowledge. Complacency is not an option. 2. They surround themselves with great people. In pursuit of greatness, surround yourself with resources of inspiration that provide guidance in strengthening your successes. Surround yourself with people you want to become. 3. They do not compare. Successful people do not compare themselves with others. Instead, they view others that have “more” in some capacity as inspiration to tackle their own goals. Individualism is not comparable. When we fixate on direct comparisons, we limit our potential. Social acceptableness may influence thoughts of where you should be, but are you really ready? Comparing ourselves creates a sense of urgency to play “catch up.” As a result, resentments can develop for people that are "ahead" of us. Instead, successful people turn thoughts of comparison into learning opportunities to influence personal progress. Stop comparing yourself to others. You are your own competition. 4. They balance optimism with realism. Successful people are ambitious while balancing optimism and realism. They are self-confident and recognize the requirement of dedication and persistence for positive results. Anyone can have dreams, but those with a realistic mindset are the ones that turn dreams into reality. Minimizing the effort required to achieve our goals will lead to disappointment. Instead, we need to recognize that if we want something, we must work for it. Believe in the process, put in the work, and you will accomplish your goals. Ideas are worth nothing. Execution is worth everything. If you don’t like something, do something about it. Many people do the minimum to get but wonder why they aren’t succeeding. Successful people stay engaged and are ready to step up when action is necessary. They take the next step before being told to do so and complete things with accuracy. They go out of their way to be a self-learner, practice something until they perfect it, be the source of value, and influential converser. Successful people have a holistic outlook. They not only take an initiative of their own personal successes but are also committed to those successes of others. Helping others provides us purpose. Being able to give solid advice improves self-confidence and makes us feel valuable. If you don’t like something, do something to change it. Adopting habits that successful people practice will help you experience positive outcomes. You will gain self-awareness, experience personal growth, and feel more valuable. We have the power to determine how successful we want to be through the actions we take. With the right level of willpower and dedication, you can succeed in anything you set your mind to.